To understand its full potential, as well as the barrage of debate surrounding outsourcing in the modern business networks, let us look at Boeing as a brief case study. 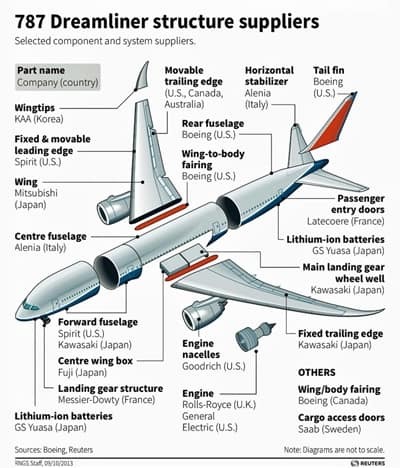 Its 787 Dreamliner has been one of the most innovative and costliest projects on Earth today. From the beginning it was apparent that to keep up with Airbus and to create the next generation of airplanes, Boeing would need extensive cooperation of the best in the world. The story of production of Boeing’s 787 Dreamliner is a poetry in motion and a true global supply chain in action. On 20 April 2010, Deepwater Horizon became front page news on nearly every newspaper on Earth. The explosion of the Deepwater Horizon rig killed 11, caused the largest oil spill in US history and entailed high-profile lawsuits, the proceedings of which will fill up a book many times the size of the one you are holding. Modularisation appears to be very useful in the car industry. Modular units can be added or taken away with the same flexibility as a Lego game. This strategy enabled Chrysler to outperform General Motors during the 1990s. First, modularisation reduced the unit cost and investment needed to manufacture new products rapidly. Besides, Chrysler could utilise their scarce capital to gain a competitive advantage. Soon, Ford and GM also emulated the modularisation strategy to compete successfully against "imports". Modularisation can be applied to a wide range of industries, each of which has its own unique issues and requirements. There was a time in early 1980s when Red Bull’s co-creator and celebrated face – Dietrich Mateschitz – grappled with seemingly insurmountable problems within his entrepreneurial venture. Dietrich built a network of loyal fans, drinkers, marketers, logisticians and distributors. By far the strongest network that Dietrich created was of raving fan customers. An equally strong and loyal network was created in distribution, sales and logistics areas. In 1996, in the US, FoxMeyer was the second largest wholesale drug distributor with sales over $5 billion. It all started with an ambitious attempt to revamp the company’s IT systems and distribution facilities. Because of a poor preparation, they did not understand nor configure the systems correctly. Problems began to sprout up with the ordering and automation systems. Soon enough, there were huge sale losses, increased costs and ultimately bankruptcy and bitter lawsuits against FoxMeyer’s various technology consulting suppliers. HSBC decided to outsource in order to tackle its problems in terms of technology. The demand to continually improve technological infrastructure was starting to distract HSBC from its core competencies. 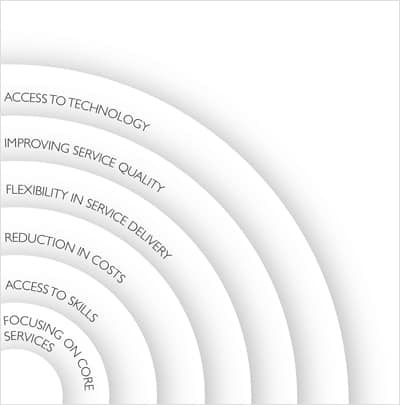 This outsourcing example shows that outsourcing often occurs for various reasons at the same time. In this case, it was not only driven by costs reduction but by technology upgrade, core competencies focus and efficiency. 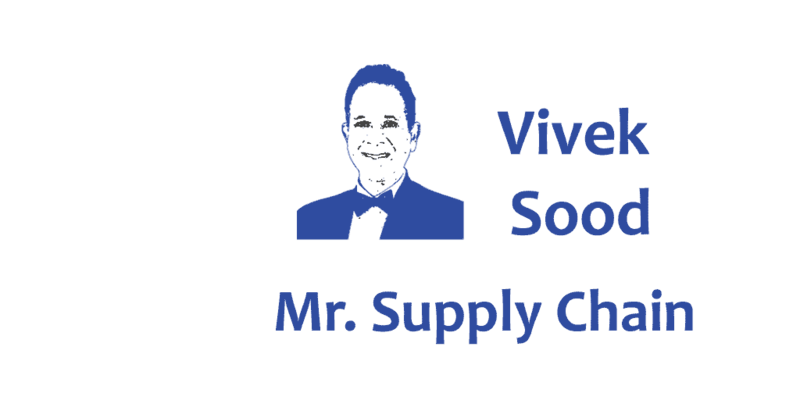 This is an example about how integration and shared information between manufacturer P&G and retailer Wal-Mart can be an effective lever that leads to the successful development of a channel partnership. The two companies jointly developed a data highway to link all their data together, in order to reduce the costs of data warehousing and also be aware of the consumer’s needs. Reigning for around 3 decades after WWII, Japan adopted and adapted innovative principles of both business and shipbuilding realms, thanks to great masters such as Elmer Hann, Edwards Deming and Peter Drucker. 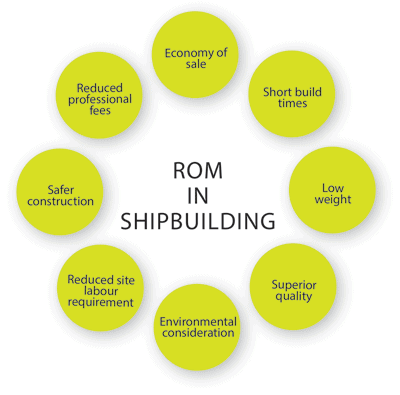 Specifically, Japanese shipbuilders embraced Results-focused Outsourcing and Modularisation(ROM), which enabled them to achieve high productivity, economy of scale, superior quality, low weight, reduced professional fees, reduced site labour, safer construction and environmental consideration.